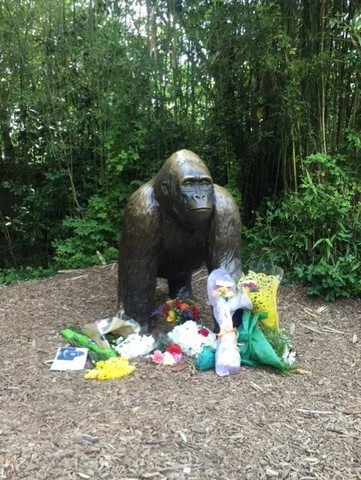 People for the Ethical Treatment of Animals (PETA) released a statement Sunday denouncing zoos and zoogoers in light of the death of 17-year-old silverback gorilla Harambe at the Cincinnati Zoo & Botanical Gardens. Harambe was shot and killed after he picked up and dragged a 4-year-old who fell into the gorilla enclosure. "Yet again, captivity has taken an animal's life," PETA Primatologist Julia Gallucci said in statement. 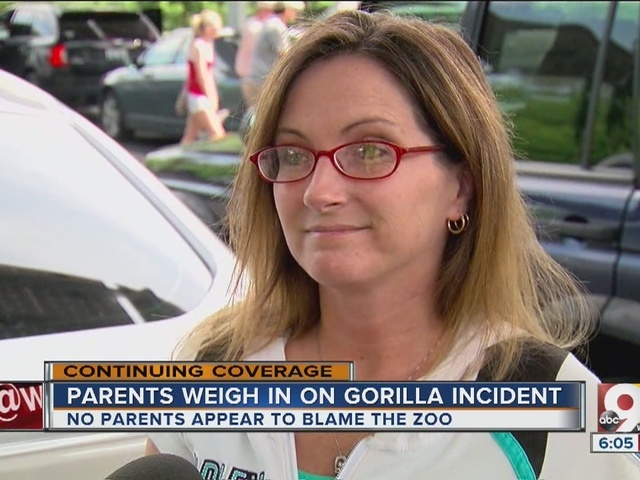 "The gorilla enclosure should have been surrounded by a secondary barrier between the humans and the animals to prevent exactly this type of incident. " Zoo Director Thane Maynard said the boy crawled through a barrier and landed in the moat. He was walking and splashing. Harambe, a 17-year-old male gorilla weighing more than 400 pounds, picked up the boy, Maynard said. Witnesses said the gorilla grabbed and dragged the screaming boy around the habitat for about 10 minutes. "Gorillas have shown that they can be protective of smaller living beings and react the same way any human would to a child in danger," Gallucci said. "Consider Binti Jua, the gorilla who carried a child to a zookeeper's gate. Even under the best circumstances, captivity is never acceptable for gorillas or other primates, and in cases like this, it's even deadly."